The eye doctors at Vista Eye Care are here to help their patients prevent eye disease through regular eye exams. Ultraviolet light is the portion of sunlight’s electromagnetic spectrum that causes skin and retinal damage. This damage, by oxidation of bodily tissues, builds up slowly over the course of a patient’s lifetime, with many of the unwanted effects only becoming apparent later in life. Diseases such as skin cancers, cataracts, and macular degeneration are too often written off as “old people’s diseases” though these diseases are in fact due to the behavior of the patient throughout their lifespan. 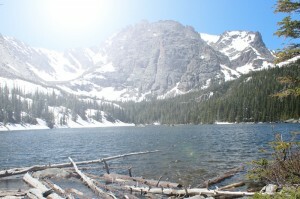 Colorado is a beautiful state filled with opportunities for those wanting outdoor adventure. Hiking and biking is everywhere, as is running, swimming, climbing, walking, and just being outdoors. Special prevention is necessary to maintain health eyes at the altitude we live at. Colorado’s altitude exposes us to more UV light. Proper sun protection is necessary in all of Colorado. Many patients think that blindness comes with old age and this statement is absolutely false. There are many eye disease that are more prevalent in older patients, and symptoms of those disease may include vision loss. However, vision loss by those diseases can largely be prevented with regular care and the knowledge of what causes those diseases. Macular degeneration and cataracts both are thought to be prevented with regular eye care, and use of sunglasses or contact lenses (that block UV light) and a diet rich in high anti-oxidant foods (including peppers, tomatoes, and green, leafy vegetables). Cataracts are caused by many factors, though lots of exposure to UV light can hurry them along. Dr. Abert typically tells patients that they can either get cataracts in their fifties, or in their nineties depending on the prevention methods they have taken. Some cataracts can be caused by diabetes, long-term steroid use, and injury, though the “typical” cataract is thought to be the result of sun exposure. Macular degeneration affects a patient’s central vision and can hugely impact their ability to recognize faces, read, and drive. The Centers for Disease Control and Prevention estimate that 1.8 million people have macular degeneration and another 7.3 million are at substantial risk for vision loss from it (as reported on the American Optometric Association website). Exposure to harmful sunlight starts when we are young, and in fact some of the most damaging sunlight exposure comes from our childhood when we spend so much time outdoors playing with friends or participating in sports. Not wearing sun protection is doing yourself harm if you are young. For more on how UV light can affect your eyes check out All About Vision.com’s article. Some people consider annual eye exams (also called glasses exams, or annual eye check-ups) “routine” visits. They are anything but that. Your annual comprehensive eye and vision examination checks on the health of your eyes, inside and out. Our optometrists also check your vision in the context of your occupation and hobbies. We measure side vision, eye pressure (related to glaucoma), and counsel the patient on ways they can improve their life habits to prevent eye disease later in life. Children should be taught at an early age that sunglasses are for more than comfort and style –they are to keep you seeing good for your whole life. Couple that with a good diet, exercise, and regular eye care and you are doing your best to keep your vision in great shape.